The Hammers travel from the sunny docks of East London to the imposing Etihad Stadium to take on current table toppers Man City this weekend. The last time these two teams met, at the start of the year, it finished in a frantic 2-2 draw. Can Man City make it three wins out of three under new box Pep Guardiola, or will West Ham take them down a peg or two? Potential punters might want to consider meeting in the middle with a wager on a repeat of last year's draw to start the season. The Sky Blues won their first two games of the new season in style: first with a nerve-wracking 2-1 win over fellow northerners Sunderland, before a savage 4-1 victory away to Stoke. Seasoned Man City striker Sergio Aguero managed to slot two in past Jack Butland, hoping to impress his new manager, former Barcelona and Bayern Munich coach Pep Guardiola. His need to impress must have been particularly strong after missing two penalties in City’s Champions League qualifier against Romanian side Steaua Bucharest. He did, however, also score a hat trick in that game, so perhaps he has nothing to worry about. The visitors, meanwhile, have everything to play for, having lost their first game of the season to London rivals Chelsea. Not to be defeated, the Hammers found their first win in their new home at London Stadium from a late strike against a ten-man Bournemouth. It was Michail Antonio who provided the only goal of the game – a slightly ironic turn, given he had cost his side a penalty the week before. Can he hope to penetrate a defence led by Zabaleta, Otamendia and Stones, and score against Willy Caballero? Man City last met West Ham away at their old ground Upton Park. The Light Blues were shocked when Ecuadorian striker Enner Valencia managed to batter one in past Joe Hart with less than a minute on the clock. Luckily for Man City, Valencia has been suffering a lack of goals and last scored for West Ham back in January 2016 when the two teams last played. But with Andy Carroll out injured, beleaguered West Ham boss Slaven Bilic has little choice but to play Valencia in the centre role. It was Aguero who once again saved Man City in the Jan 2016 match, first from the penalty spot in the ninth minute and then again in the 81st minute, securing a draw and cancelling out Valencia’s second goal from the start of the second half. With Valencia out of form, Aguero must be hoping to turn the tables and score first. He faces stiff opposition in the form of West Ham defender Sam Byram, who made his club debut in the last match against Man City. He has been on fine form since then and even won praise from West Ham chairman David Gold after his solid performance against Bournemouth. 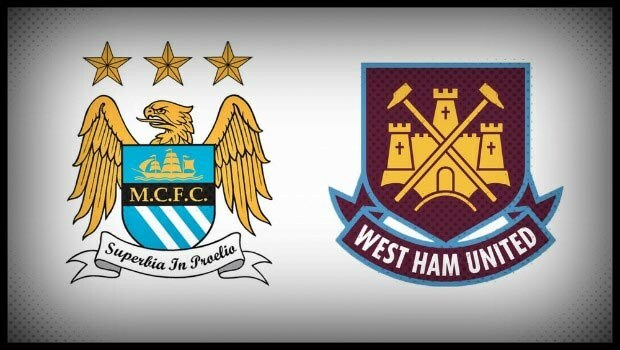 What are the Best Bets for Man City vs West Ham? If you fancy the chances of The Hammers hitting one away from home before Man City can slot one by Adrian, Net Bet is offering 53/20 on the visitors scoring first. However, the bookies have Man City favourites to score first at 5/18. For total goals scored, if you think history is likely to repeat itself and have four goals, a bet of 'Over 3.5 goals' is sitting at a modest 11/10. If you think there may be more, 'Over 4.5' is currently 5/2, while 'Over 5.5' is a very exciting 5/1. Man City are clear favourites to bag the game, with odds on them winning outright at 20/73. If you are a West Ham fan, it could be tempting to put them down to win at 19/2, or, if you think it may be a draw as their last game proved to be, you could get 9/2. If you think you can judge which of these teams is going to outshine the other on Sunday afternoon, visit NetBet now! If you join today, the bookkeeper is offering a £50 bet absolutely free.